This is a self-published Trafford book about inconsistencies in the bible, in particular references to technologies that had not been invented at the time the story allegedly took place. It is book 1 in a trilogy. One of his assertions is that much of the history described in the Bible was actually about Judah, not Israel. 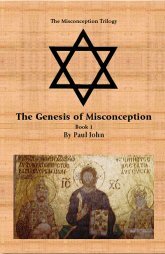 Paul John was raised as a Christian then came to examine his faith in adulthood.